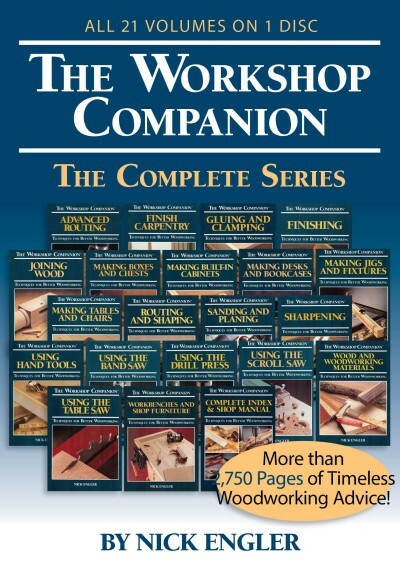 Everything you need to know as a woodworker in one collection? Well, that’s a pretty tall order, but Nick Engler’s classic “Workshop Companion” series is a great place to start. Making boxes, chests, bookcases, desks, tables, chairs and more! This handy DVD-ROM compiles all 21 books on the one disc and best of all it’s easy to navigate and completely searchable—a great way to track down that woodworking tip, tool info, trick or technique you’ve been looking for. An excellent present for the aspiring woodworker.